Fins are super important when surfing as they help generate speed and help you take those killer turns. But as a beginner, it’s hard to know the difference. 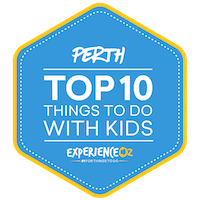 We’re here to help you brush up on your knowledge! Like good old vanilla ice-cream, your single fin is the original configuration. These days you will see them mostly used on longboards as they’re generally longer and wider than other fins, making the longboard easier to control. Increased control also means restricted movements, so you’ll generally see longboards performing sweeping turns and straight-line changes. Because two is better than one… on short boards anyway! The twin fin setup has two smaller fins located parallel to each other near the rail. This is more of an old-school setup allowing for speed and making turns easier to manoeuvre when conditions are smaller and more predictable. The best things come in threes, including the thruster combo! 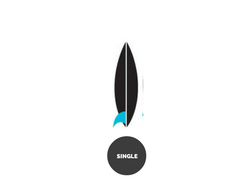 Comprised of three fins, this is the most common setup used for both the novice and experienced surfer. 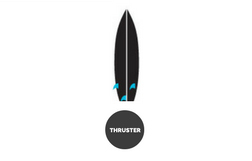 The thruster suits the majority of ocean conditions as it offers stability and direction. All three fins are generally the same size, with the two outside fins increasing drive and speed and the inside fin allowing stability. No, you’re not seeing double, you’re seeing the quad setup. Comprised of four fins, this setup is generally seen on a short board allowing surfers to gain speed while maintaining control. 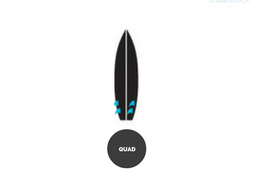 Quad setups can be used on both big barrel waves and small spilling waves, depending on the configuration of the four fins.